If nobody within your small business has a disability, accessibility may not be a pressing concern. However, almost 40 million Americans live with a disability of one kind or another, and it’s possible one of these individuals may be looking to work for you someday. 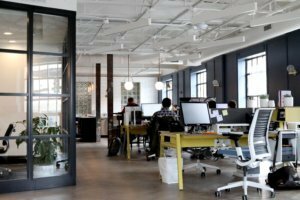 As the owner of a small enterprise, you simply cannot overlook accessibility in your workplace. Expanding your team is certainly one of the most exciting aspects of growing your business, and you should be as accommodating to all employees. Accessibility is core to that, and we take a closer look at its importance below. Integrating accessibility into your small business means more than making sure you offer wheelchair access or a disabled toilet. It actually encompasses your products, services and the workplace itself. One disability that may be overlooked is blindness or visual impairment. RightHear is committed to boosting accessibility for everyone with sight-related problems, using cutting-edge sensors and our innovative app to offer comprehensive guidance throughout indoor environments. This makes navigating often complex sites far easier, enabling blind or visually-impaired individuals to enjoy greater independence. Installing ramps, sensors for RightHear or overhauling your website to aid accessibility does involve extra expense, but this pays off by expanding your audience. Research shows more and more big businesses are embracing diversity in all respects, which includes focusing on the needs of disabled workers / customers. Mental and physical disabilities are now discussed far more openly, and the old stigmas are gradually being destroyed. There’s still some way to go, but businesses are generally more aware than ever. While big businesses are taking accessibility seriously, small businesses like yours need to follow their example. Prospective employees with disabilities expect the same opportunities as others. You could be missing out on talented workers if you’re failing to accommodate candidates with disabilities. So, what can you do to get your workplace accessibility right? If any of your employees have disabilities, be aware they may be sensitive about it. Always be considerate of their feelings and concerns when discussing accessibility issues. Open the floor to your workers and discuss how you can foster a more accessible business, both for employees and customers. Address the needs of people with different disabilities and workshop ideas. Identify ways in which you can improve your workplace — and keep the dialog going. Whether disabilities are physical or mental, show that you’re happy to address them. It’s vital that you educate yourself and your directors/managers on accessibility in the workplace. You should be able to find local organizations or groups offering training on this topic, helping you spot accessibility flaws and ways to correct them. Accessibility matters, no matter how small your business. Follow the tips explored above and you can make your growing company a more welcoming place for all. 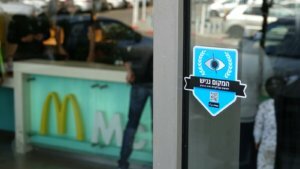 Our lesson from turning all of McDonald’s Israel restaurants into accessible environments for the blind and visually impaired.